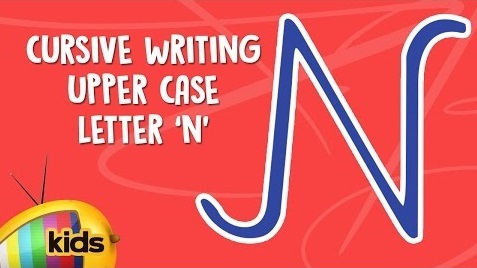 Kids Let Know How To Write Capital N English Alphabet while learning Cursive letter Writing on Mango Kids Channel. Now children lets learn to write the capital letter N in cursive style in four line format. Follow the direction of arrow and learn how to write N.